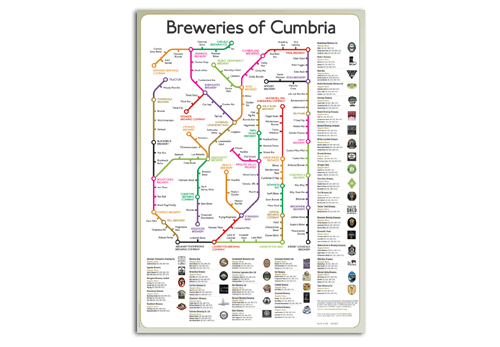 The CAMRA Westmorland Brewery Map has been redesigned and relaunched for 2015. 39 breweries are featured on the map which is based on the design of the London Underground map. As well as the breweries, regular beers along with a pump clip are featured on the poster. The print run is limited and each print is individually numbered.